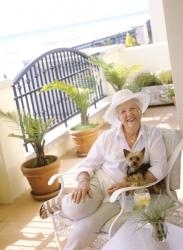 Carlsbad By The Sea is a beautiful, beachside resort retirement community with the Pacific Ocean as its backyard and the quaint Carlsbad Village its doorstep. Here, you live a life filled with vitality and peace of mind. Once a famous seaside resort, it replicates the unique mission-style architecture of the original 1929 structure and continues the long tradition of resort-style living with emphasis on health and wellness. Carlsbad By The Sea is a Continuing Care Retirement Community offering Independent Living, Assisted Living, and Skilled Nursing Care. 24-hour professional nursing, rehabilitative therapies like physical, occupational and speech therapy, specialized restorative nursing programs and wound care are also offered.